Product prices and availability are accurate as of 2019-04-24 00:22:48 UTC and are subject to change. Any price and availability information displayed on http://www.amazon.com/ at the time of purchase will apply to the purchase of this product. JHS A019-8KR/A is in weight of 44lbs and easy to move due to its all-direction castor wheels and integrated carry handles. 3-in-1 Design of Air conditioner, fan, and dehumidifier. Dehumidify up to 31.7 pints per day. 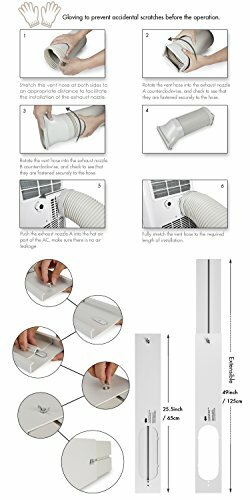 The ideal cooling solution for bedrooms, office stalls, and personal studio use.
? 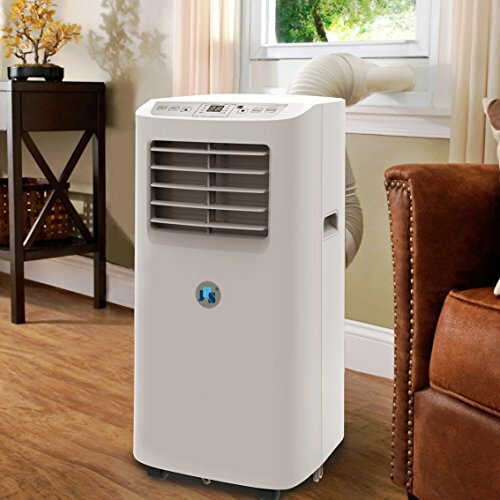 8,000 BTU portable air conditioner for a room up to 170 sq. Ft. No bucket, no-drip design uses auto-evaporation & water-full smart indicator technology. ? 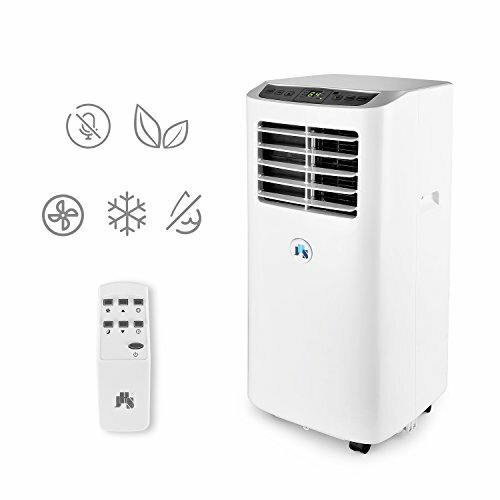 3-IN-1 OPERATION: Air conditioner, fan and dehumidifier. Dehumidification up to 38 pints per day. 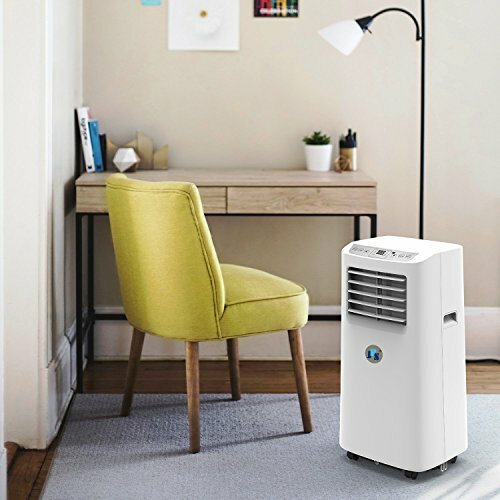 Ideal for cooling bedrooms, office stalls and personal studio use. ? Digital LED display and full-function remote control, automatic shut-off timer from 1 to 24 hours, Input voltage: 115 V/60 Hz. ? 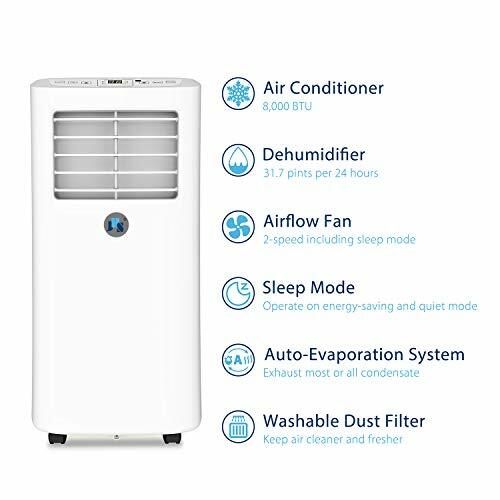 PORTABLE: Unlike an irremovable AC, this unit is in weight of 44lbs.and easily portable due to its durable castor wheels, tool free installation in minutes, washable carbon air filter and window outlets are included. ? WARRANTY: JHS is proud to offer a 1 Year Full Warranty on this unit. Buy with confidence!